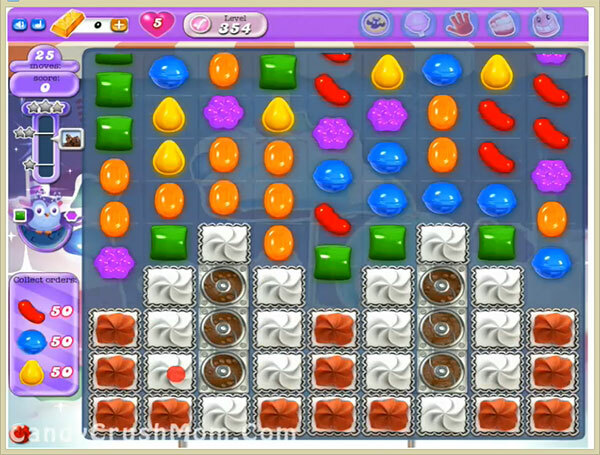 This level is easy and not hard like other previous simple candy order requirement levels. For this level first you should try to play from bottom to break blockers so you can have more candies to play. After try to play more with order requirement candies with balancing the Odus owl and try to make special candies. After moonstruck make combos of special candies that you made like colorbomb with striped candy to easily reach the requirement. We completed this level with 75480 score using above technique that we share and got three star score plus reach the level requirement before 7 moves.